OLD PARKED CARS. : 1984 Chevy Celebrity Classic Coupe. 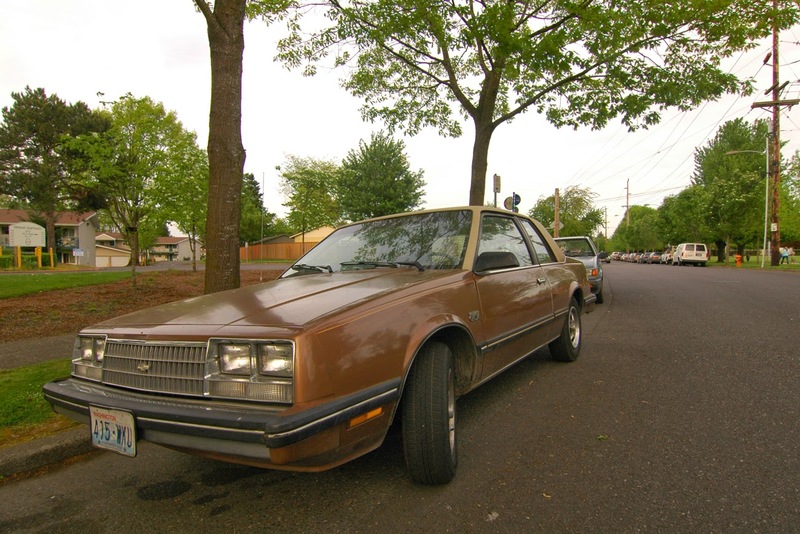 1984 Chevy Celebrity Classic Coupe. 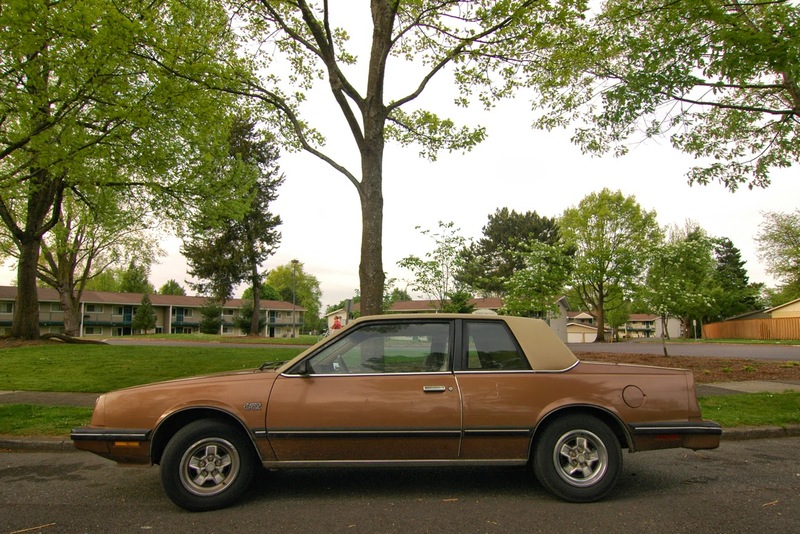 I love how Chevrolet called the car a "classic" when the design was only two model years old. Yeah, as I recall there was also a Eurosport edition of the Celebrity. It was neither European nor sporty. Bring back the vinyl roofs of yesteryear! A Celebrity Coupe....not to mention how clean it is. Like that bronze color. Has any celebrity ever driven a Chevy Celebrity? I'm going out on a limb & saying absolutely not. despite the fact that this car is both old and parked and has elicited five comments, i really wish i didn't have to look at it. am i missing something here, benny? are these cars not still a dime a freaking dozen? My parents test drove one back in 1988. They ended up buying a Taurus. Dead_Elvis' comment sounds about right to me. One of those cars you occasionally see rotting, but never in motion. You tell me when you see one with the CLASSIC badge on it, which I think is the most obscene adjective ever applied to a car. Narrowly beating the previous reigning champion of undeserved names. And just so you know, CLASSIC indicates that optional vinyl roof, and that's it. I dunno, I can't remember seeing one with a vinyl top, and the coupes are pretty darn rare as well. Celebritys are still everywhere, sure. But, as has been said, the Classic and the Coupe are both pretty rare. I don't remember seeing a coupe for ages; I've seen precisely one Classic. 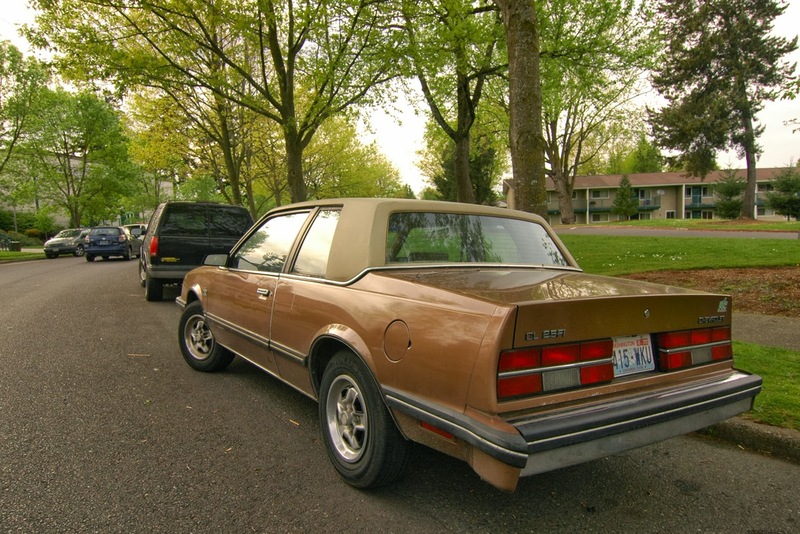 And it had a gold vinyl roof. Not sure if the gold color was an option or a can of Krylon. That is a 1985. Not 1984. I guarantee it. How can you tell anon?